The global use of geographic information systems (GIS)/location intelligence is expected to double by 2023, becoming a $10 billion industry. To maximize the understanding and effectiveness of this technology in the private sector, the University of Redlands School of Business has partnered with Esri, the global leader in location intelligence, to launch the Spatial Business Initiative. The Spatial Business Initiative will entail innovative educational programs, ground-breaking research, and national and international advisory offerings with the purpose of enabling businesses to realize the value of location intelligence and to create leaders who can use this intelligence to transform their businesses. “With 80 percent of business data containing geographic information, location analytics delivers business insights into markets, customers, logistics, and supply chains like never before,” said Thomas Horan, H. Jess and Donna Colton Senecal Endowed Dean of the School of Business and member of the Esri Business Advisory Council. “We are thrilled to partner with Esri in this important initiative, which is advancing a wide array of projects at the intersection of GIS and business and will help to shape the future of intelligent decision-making.” Horan will be leading the initiative in collaboration with Professors James Pick and Avijit Sarkar. Funded through a grant from Esri, the Spatial Business Initiative will offer a one-of-a-kind online MBA with a concentration in location analytics starting in September 2018. Following close behind will be the launch of the formal certificate in location analytics in January 2019, offered both online and on the main University of Redlands campus. In addition, the Spatial Business Initiative is surveying businesses across diverse industries to better understand how businesses use location intelligence, including strategies, costs, benefits, risks, challenges, and trends. Results of the first survey will be reported at the Business Summit during the July 2018 Esri User Conference in San Diego. Other initiative projects include an annual research conference; executive training; and an Esri Press book, Spatial Business: Competing and Leading with Location Intelligence. The University of Redlands has been a leader in spatial education for over a decade through both its School of Business and College of Arts and Sciences. 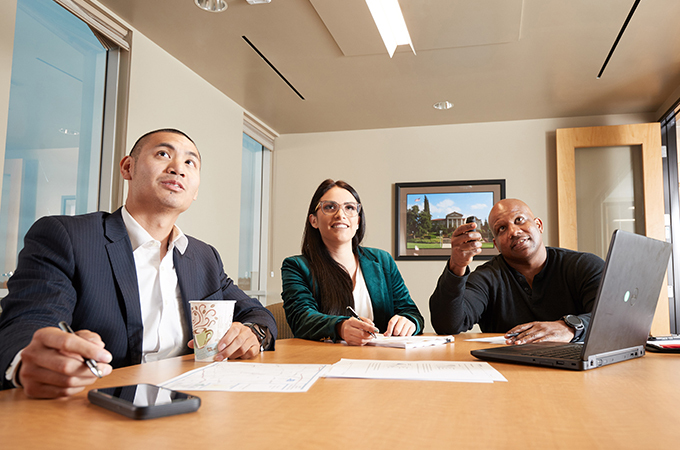 In addition to offering the new MBA with a concentration in location analytics, the U of R School of Business is the only business school that requires a location analytics course for undergraduates and hosts two GIS-for-business research enterprises: the Center for Spatial Business and Institute for Spatial Economic Analysis (ISEA).